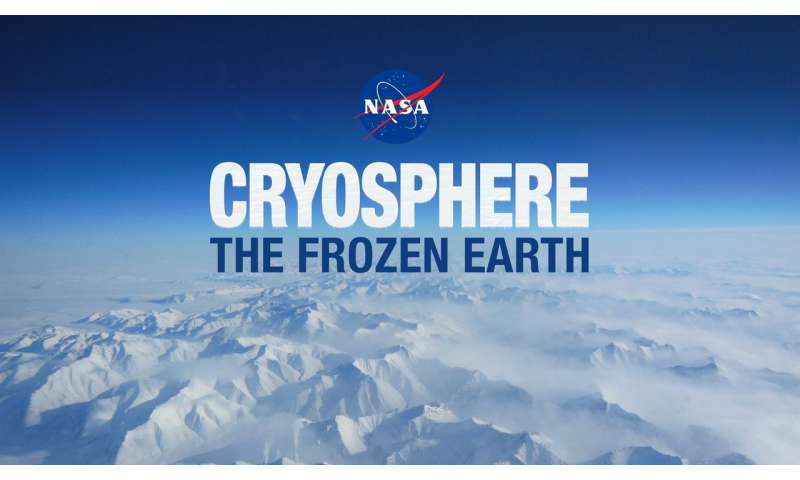 NASA's mission in researching our home planet is to use the vantage point of space to understand how Earth works as a system, and how the different components—ocean, land, atmosphere, biosphere and cryosphere—interact and affect one another. NASA's diverse airborne and ground research is also aiming to provide a more detailed view of not only the ice sheets of Greenland and Antarctica but also the other components of the cryosphere: sea ice, snow cover, permafrost and glaciers.Over decades, NASA and other researchers have pieced together a picture of how these different aspects of the Earth system interact. Decades of observation and analysis reveal significant trends of change. NASA research shows that permafrost—permanently frozen ground in the Arctic that contains heat-trapping gases such as methane and carbon dioxide—is thawing at faster rates now than scientists have observed before. Through airborne and field research on missions such as the Carbon in Arctic Reservoirs Vulnerability Experiment (CARVE) and the Arctic-Boreal Vulnerability Experiment (ABoVE), NASA scientists are trying to improve measurements of this trend in order to better predict its impact globally. Both CARVE and certain aspects of ABoVE are focused on improving measurements of how much carbon dioxide and methane is being released from Arctic soils.